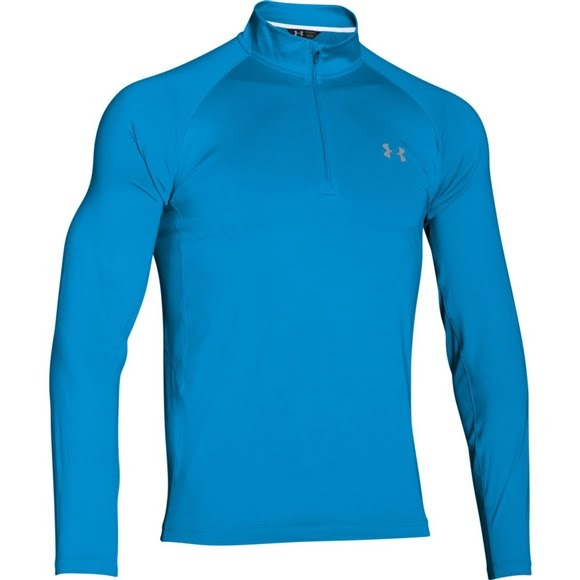 With a loose, fuller cut for complete comfort, the Under Armour Men's CoolSwitch Thermocline 1/4 Zip features UA CoolSwitch, 4-way stretch fabrication, and the innovative Moisture Transport System technology to keep you performing at the top of your game. With a loose, fuller cut for complete comfort, the Under Armour Men&apos;s CoolSwitch Thermocline 1/4 Zip features UA CoolSwitch, 4-way stretch fabrication, and the innovative Moisture Transport System technology to keep you performing at the top of your game. UA Coolswitch uses an exclusive coating on the inside of the fabric that pulls heat away from your skin, making you literally feel cooler and able to perform longer. Lightweight fabrics are built with 4-way stretch for optimal mobility and a full range of motion.